Jager Racing provides an instructional environment for drivers who simply want to improve their driving skills and increase their enjoyment of driving their street vehicle. We offer one-on-one private instruction on selected weekday and weekend dates. Contact us for available dates and details. Jager Racing is about you the driver, individual instruction and ensuring you have a safe environment to learn. all of which is designed to educate you and make you more confident behind the wheel, both on the track and on the street. Helping others to learn from their experience is the ultimate reward and being able to help you learn the joys of the track is something we look forward to. Performance Driving Instruction ranges from the classroom to in-car training to lead follow drills. This is for the person whom is looking to enhance their performance driving skills but have already preformed many standard track days and have a general concept of what is expected on track. The curriculum includes intensive sector training over various types of corners, using the “heel and toe” downshift technique. In the morning session, we will break the tracks into sections to isolated and learn small sectors of the track and the correct racing line. A braking exercise will also take place that builds upon the braking learned in the one day High Performance Driving School course. The afternoon consists of utilizing the correct lines and braking zones as to give a concrete base for your learning agenda. Note the rules and regulations specific to the event and the race track. Complete your entry form in its entirety and return it to the person/organization listed. Make absolutely certain your personal driving equipment, (i.e., Helmet, Driving Suit, Gloves/Shoes, etc.) 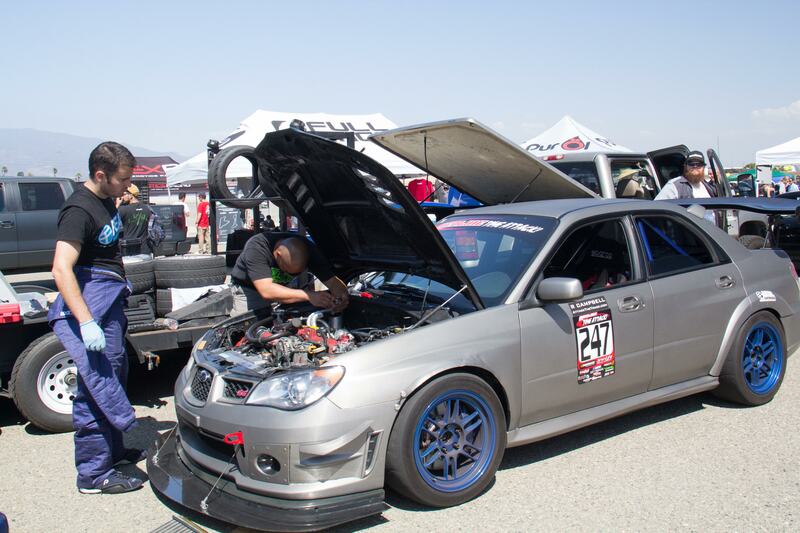 is in good order, and that your car is race-ready BEFORE the first on-track sessions, this can be the most important many people end up missing track time based on issues with their vehicles. Be punctual for your classroom sessions, they are mandatory. Make every effort to have a qualified mechanic on hand to ensure your car runs properly, as you successful depends on it. • Belts and safety equipment – is all the factory equipment in good shape? Do your track days include Road Atlanta?